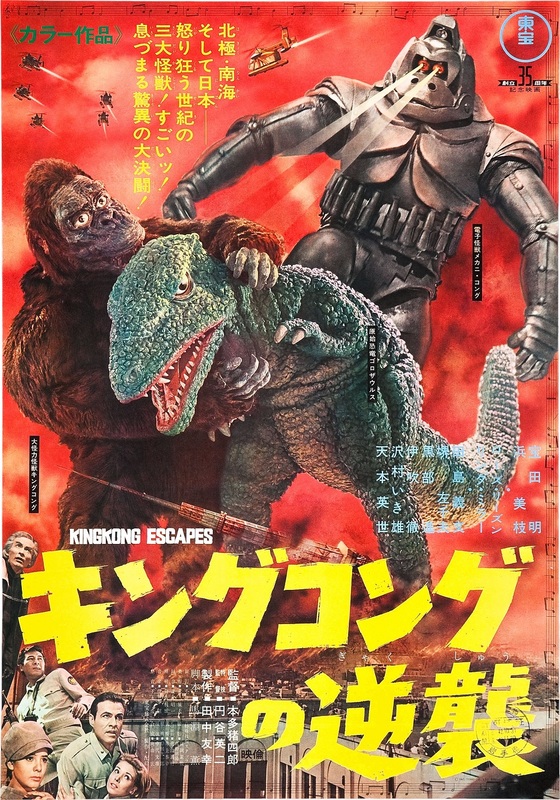 What It’s About: An evil genius has trouble getting his giant mechanical ape to dig for Element X, so he decides to capture the real King Kong to do the job. Why It’s Unique: I can’t help it, Mechani-Kong is just fantastic. Favorite Scene: Kong’s battle with Gorosaurus is fun, but I also like the effective Tokyo Tower close-ups of girders crushing as Kong and Mechani-Kong climb and fight. Watch the English trailer here. What It’s About: An extraterrestrial amoeba inhabits various Earth creatures and mutates them into kaiju. 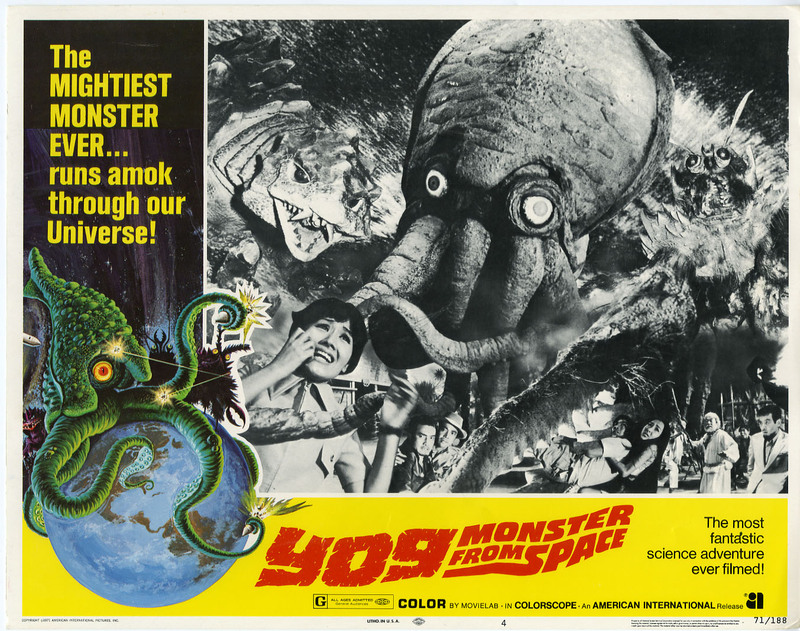 Why It’s Unique: This is a super fun triple kaiju (giant squid, giant crab, and giant turtle) film, and just thinking about it makes me wish I had a toy Gezora. Favorite Scene: Gezora’s huge eyes and floppy tentacles are so much fun to watch moving upright on land! 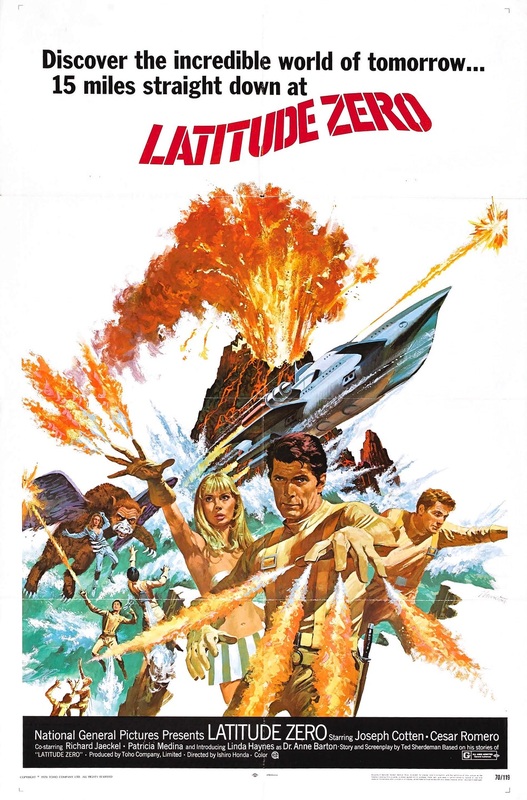 What It’s About: Rival super-scientists pit their super-submarines against one another over a super-utopia at the intersection of the Equator and the International Date Line. Why It’s Unique: Truthfully, this is more of a straight tokusatsu film than a kaiju movie, but at least there’s a giant flying lion, and everyone needs to see Cesar Romero’s performance. Favorite Scene: Malic (Romero) is deliciously insane as he uses a rotating saw and a hand drill to perform a human-lion brain transplant. 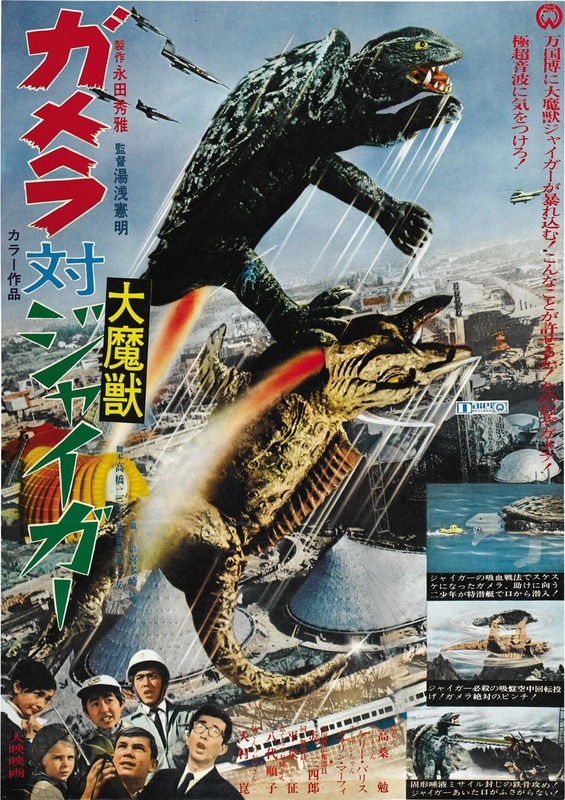 What It’s About: Gamera saves children from alien cannibals on another planet. Why It’s Unique: Guiron is a giant knife who slices up his enemies, and he also shoots throwing stars out of the side of his head just for fun. Favorite Scene: Guiron is introduced by defeating a Space Gyaos, and after the battle he proceeds to sushi-fy the dead creature! What It’s About: Gamera meets Fantastic Voyage as kids pilot a small sub into the giant turtle’s body to save him from a baby kaiju. Why It’s Unique: Jiger essential lays an egg inside Gamera, a pretty unique method of attack! Parts one through three of Destroy All Computer Generated Monsters are here, here, and here, respectively. We all have our breaking point… Mine comes after the first couple of Gamera movies.